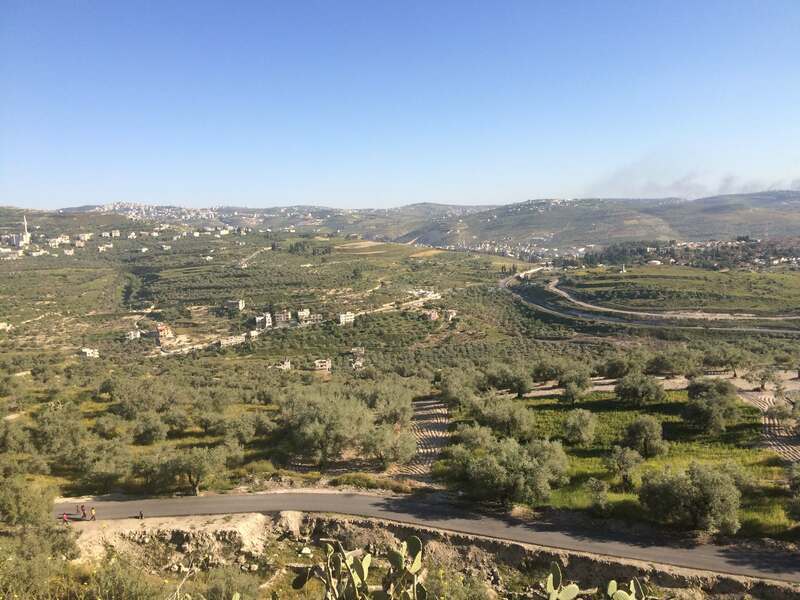 Olive trees spread throughout the hills of Palestine. Image: Ahlam Najjar. I stand here, patiently waiting in the damp cold. A crisp wind comes over me. I am surrounded by authoritarian figures dressed in olive overalls. The insignia for females is purple and for men royal blue. Steel weaponry drapes around their shoulders laying flat across their chests; their message is obvious. My stomach turns – not in fear, but in disgust; what has this country turned into? 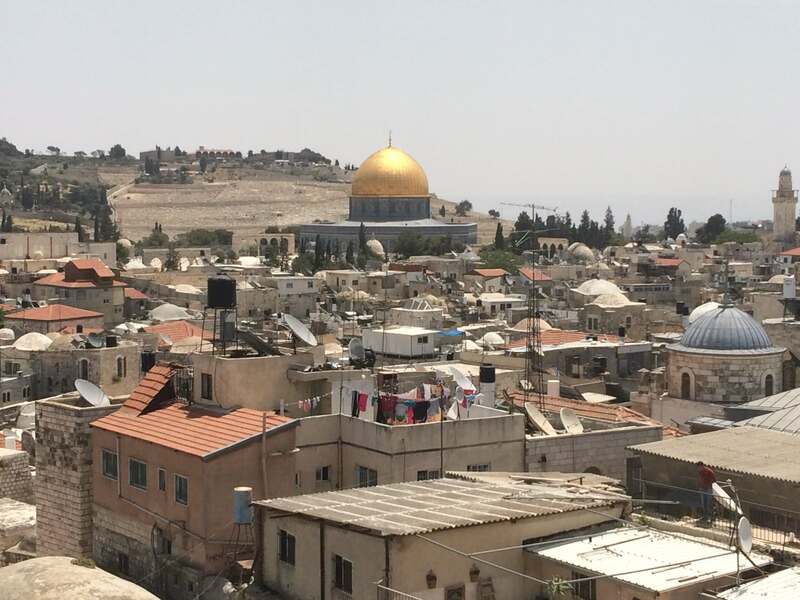 The land of flourishing olive trees, green surroundings and home to the Holy Sites of Jews, Muslims and Christians has turned into a land of intimidation, occupation and oppression. The dusty checkpoint with razor wires is barricaded like a compound. This is the seventh military run checkpoint that I’ve had to pass through today alone. It’s hard to believe that it is almost a routine occurrence for the locals. I am surrounded with eight-meter-high steel fencing, barbwire and cracked concrete walls. 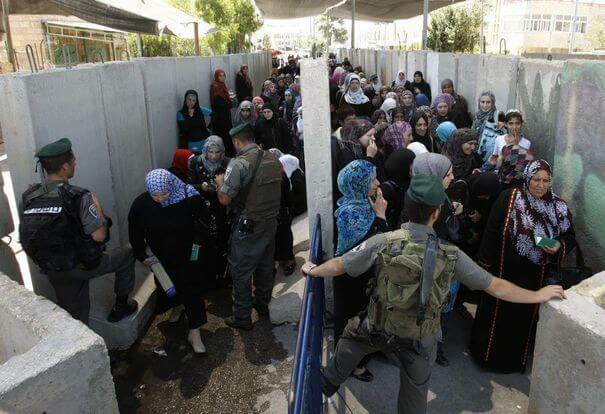 “It’s the biggest military run checkpoint in the West Bank,” I hear someone whisper. Its purpose is to restrict residents of the West Bank from entering Jerusalem. I gaze at the artwork on the cream coloured walls: horizontal blue and white stripes, and the obvious symbol of the land’s current rulers, circled in red. A diagonal red scar slashes over the top. Underneath it reads “end the oppression” in stains of red. A bold, black hand; the unmistakable sign of peace. Ironically, peace doesn’t exist within these walls. The crush of people as we near the gate makes it hard to breathe. Everyone is frantically pushing and shoving one another in desperation to try and make it through before curfew. There is an overwhelming sense of despair, mingled with fear and hatred. I see parents cover their children’s faces, gripping shoulders tight. Trying not to expose their most vulnerable to the threatening military authority. We begin to line up in an immense steel tunnel behind an automated steel gate, four meters high, topped with barbwire. This unrelenting barrier resembles what is used for sheep waiting to be sheared. It is surprisingly cold in the shade of those tall concrete walls. I shiver, and wish I’d worn another layer. I think of how the light has not only been taken out of this compound, but out of the hearts of the people within it. Two hours have passed, and I’m finally let through the gate. Now I have to go through security. The female guard walks over to me. She is fair-skinned and has the brightest blue eyes – eyes that portray her young age, although the gun around her waist says volumes about her experience. Even the Palestinian olive symbols are occupied via Israeli insignias. Image: Ahlam Najjar. “Remove your jacket, your shoes, and raise your arms,” she screams. She firmly grabs me by the arm and pushes me to the glass window. I stumble, knees buckling, and scrape my knee from the force. I shake the gravel off my hand and knees, leaving a blood stain on my pants. I shuffle forward and stand in front of the screen, which separates me from another soldier. He is tanned, with a long thick black beard. I notice his insignia is different to the others – it is square shaped with two olive branches and a sword. He must be of a higher authority. “Come, passport and permit,” the soldier says in his thick Hebrew accent. I frantically push my passport through the cut out in the glass. He looks down at my black cover, focuses on the kangaroo and emu in the middle and stares at me in confusion. I nod quickly. He opens it, reads, and types my name quickly into a keyboard. My Arabic name. “You no allowed in too-day, you no Australian. You Palestinian,” he says in his broken English. I am denied access. To a place where the soil connects me to my ancestors – where the culture within the land flows through my veins. Denied access to the place where Jesus once stood. 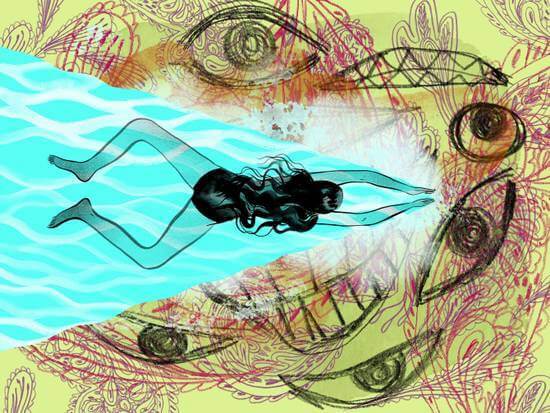 I swallowed the lump that had been building in my throat and take one step forward. “I will not move until I am let through,” I say. Zahrat al mada’en (Rose of the cities), Jerusalem. Image: Ahlam Najjar. I grab onto the handle, take a big deep breath, whisper a quiet prayer and walk in. The room is dark and narrow, windowless and made out of harsh steel. The walls close in, and I begin to sweat profusely. My hands shake, my heart is beating faster than it should. I take a seat on the cold steel and wait. Two soldiers enter briskly and the interrogation begins. I feel intimidated and overwhelmed. I am accused, degraded and interrogated, as though I were a criminal. After a while, I am finally told sternly, “Exit the room now!” I race out frantically, confused shaken, disturbed. Back in the waiting room I re-join the queue. “You will not be allowed in today,” the soldier barks. My arm is grabbed from behind, and I am dragged along through the gates. He gives me a push then lets go. I’m just another another Arab to him. 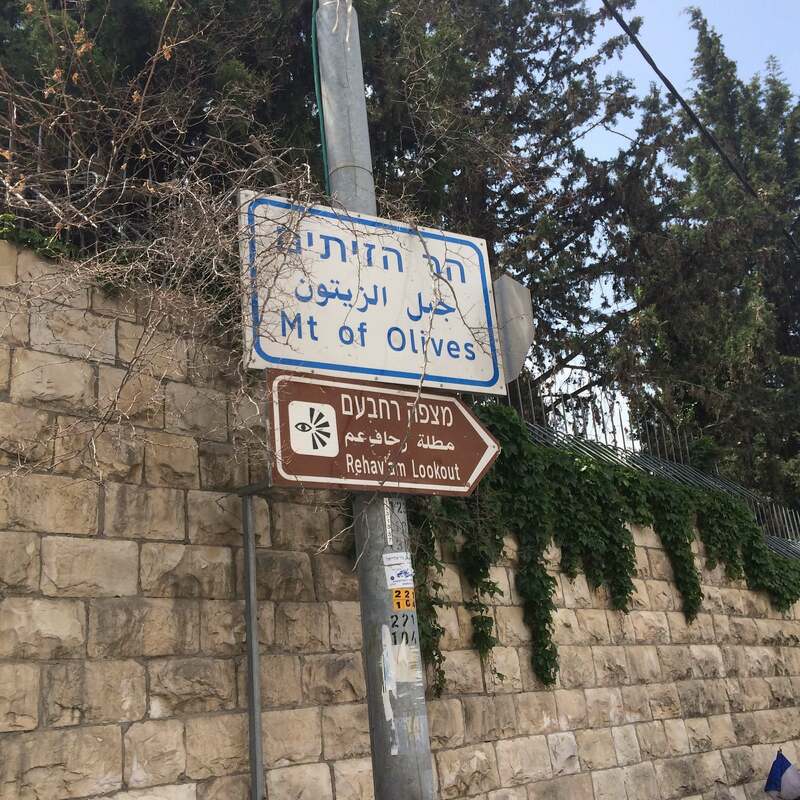 I turn my back away from the gates of Jerusalem and take the smell of freshly pressed olives and oregano with me. That is all that I am left with.